This week has seen some strange stories in the defence press. Although they have been overshadowed by the massive contract for the UK’s Scout Specialist Vehicle – which the mainstream press seem to insist on calling tanks – some other articles are worth highlighting. 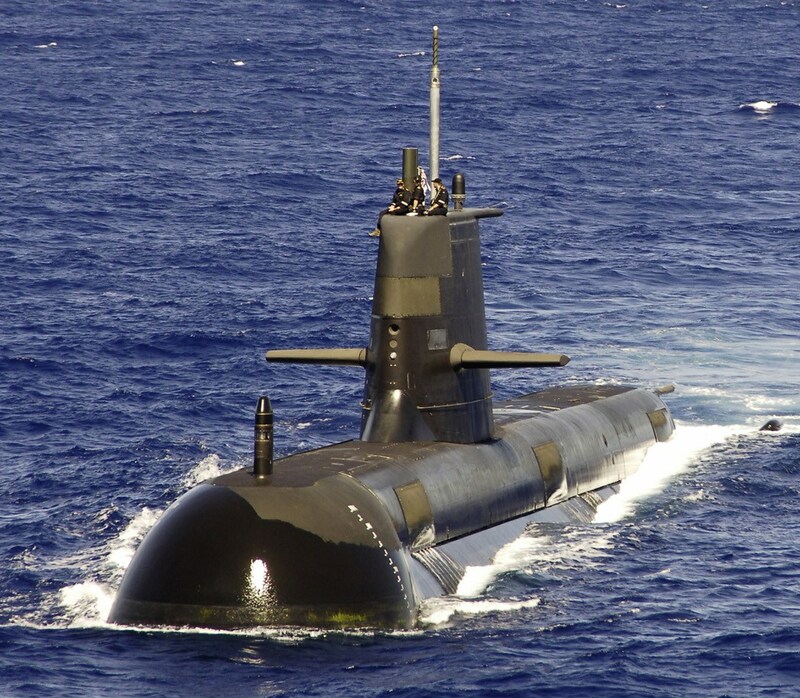 The first one to stand out was the news that the Australians are considering acquiring Japanese submarines to fill the requirement for 12 new boats to replace the six existing Collins-class. This is according to ‘a person with knowledge of Canberra thinking’. Maybe so, but they clearly have no knowledge of naval thinking. Although Japanese submarines are the best fit on lots of different levels, they are the largest (at 4,100t) diesel-electric attack submarines (SSK) available with Stirling air-independent propulsion, they are also the least likely option. Firstly despite the fact they are opening up their defence exports, the Japanese Diet has a long way to go and is unlikely to allow the design of their newest Souryu-class boats to be built overseas (Kawasaki and Mitsubishi would want some work). Although an Australian-Japanese cooperation agreement was signed in 2012 and collaboration agreement in June 2014, until recently relations between the two countries has been poor. Secondly, although the Souryu-class are good boats and are the closest to the Australian requirement they still do not meet what the RAN would need for what would be very long-range operations (more suited to a nuclear-powered boat) and they might have to be modified anyway, although to a lesser degree than other designs. Thirdly cost is always an issue and these boats would be expensive. If they were to pursue this option they would have to scale back their ambitions – which they are likely to have to do anyway – or select a cheaper European COTS model that could be more easily modified. Either that or have them built entirely overseas. Despite Australia’s fear of repeating the Collins-class debacle, they will have a pick a new larger SSK design based on an existing COTS model, especially if they want to build their boats at ASC in South Australia. But I guess you can’t blame the Australians for keeping the field as wide as possible. The second story raised some questions as it was about pro-Russian separatist forces in the Ukraine managing to hit a Ukrainian patrol boat with shore-based artillery. The Ukrainian State Border Guard Service (DPSU) has stated that two boats were steaming three miles off shore with one of them being sunk by the artillery fire. Although details are still to be confirmed, the assumption that one of these boats was hit three miles out to sea by shore-based gunfire seems unlikely. Surely it is rocket artillery or a missile or something with some kind of guidance? Using just shell-fire to hit a moving target at sea at that distance must mean that these bunch of half-assed rebels are either very lucky, they happen to be trained as crack shot coastal gunnery units, or someone else was involved here.